The foam tray provides space for 30 launch assets. 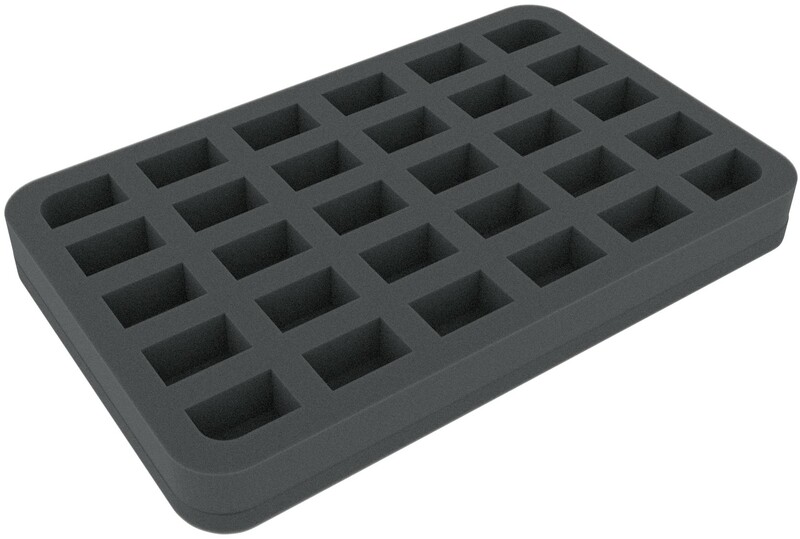 The Feldherr half-size (HS) foam tray has the dimensions: 275 mm x 172 mm x 30 mm height. 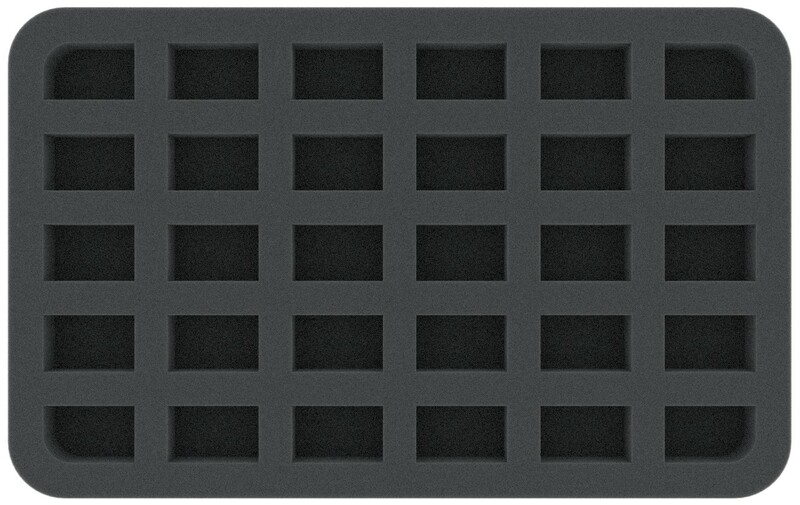 Each slot is 32 x 20 x 20 mm.